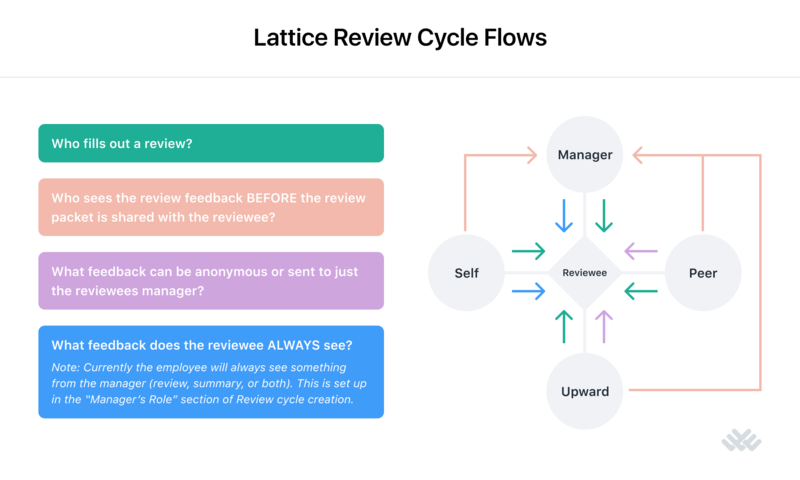 Where does a review go once it is completed in Lattice? Reviews in Lattice are very reviewee-centric. This means that when you are setting up your review cycle, all of the relationships are determined in regards to the employee getting review feedback. Once a review cycle is over, all of the review feedback will be sent to the manager before it is shared with the employee. Please note that the information shared with the employee is determined in the "Deliverables" section of Review Cycle set up.